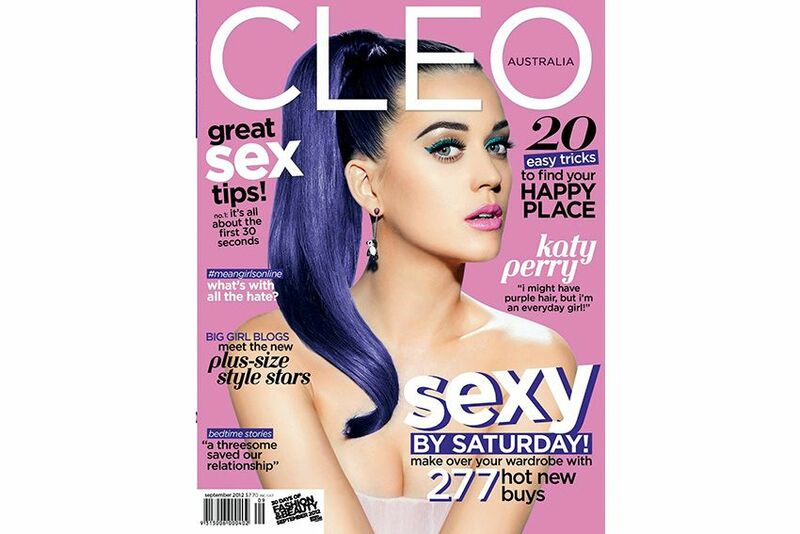 You all probably know by now but I am in this month's Cleo magazine Australia. 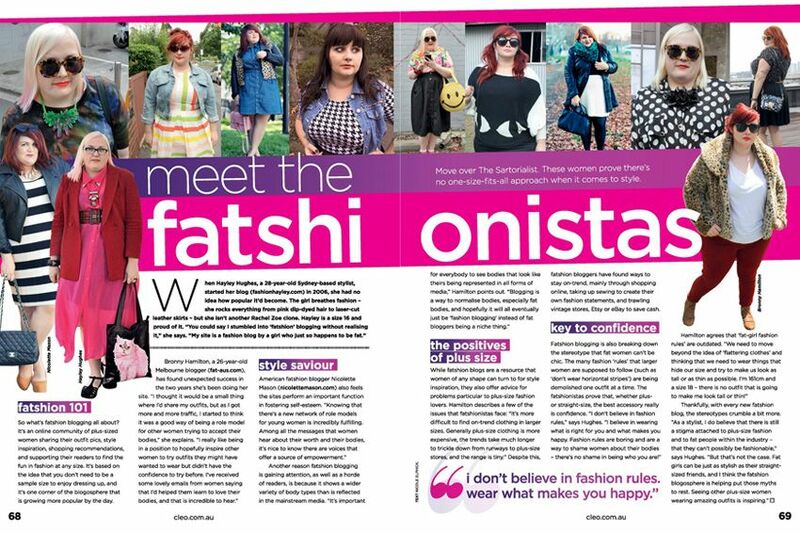 I was interviewed for it a few months back so it was very exciting last Monday to see that it was a cover story, and I was one of the 'plus-size style stars'. I'm featured alongside fellow Aussie Bronny from Fat-Aus and New Yorker Nicolette Mason who I had the pleasure of meeting and hanging out with in New York. The article itself reinforces everything I write about on here, that that big girls can be just as fashionable as straight sized girls and there really is no shame in being fat. I also was able to explain that what I write is a fashion blog and I just so happen to be fat, my blog features a mix of plus size fashion and straight sized fashion, I flit between both worlds and my readers (hi guys!) are a lovely diverse mix too. By the way thanks for all the positive comments on my leggings post last week, you certainly gave me a confidence boost. 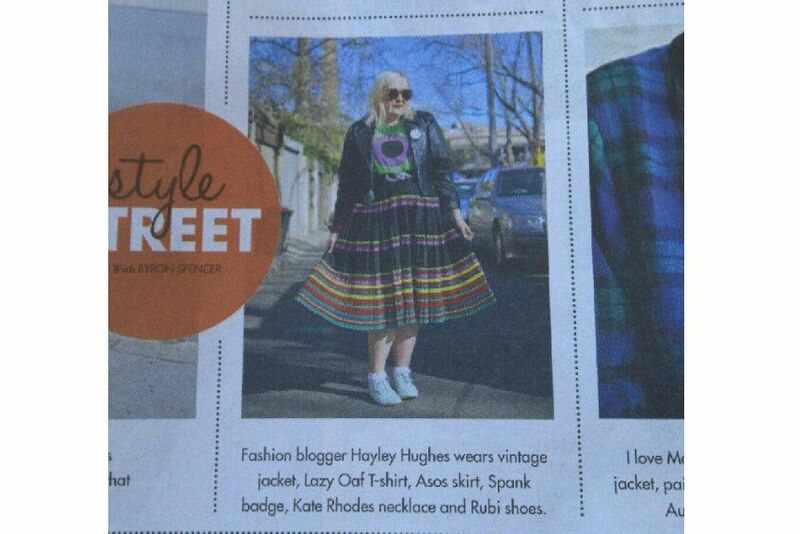 I was also recently street snapped by the talented Byron Spencer for the Sunday Life magazine's Style Street section, wearing my Mexicana-Asia outfit. As an ex street style snapper I always get excited when I am asked to be in front of the camera, it makes for a change and its great to be recognised or thought of as stylish enough, totally made my day. Congrats Hayley - what a buzz to be in Cleo! I love seeing your posts and it reaffirms to me that even though I'm not skinny I don't have to feel fat, daggy or unattractive. Go girl! Yay Hayley!! :) Looking good! You are one of the most original bloggers so you deserve alllllll the love! Congrats! I must remember to pick up Cleo tomorrow! three of my favorite bloggers. how cool! i bought that shirt a while back because of you! You should be in any magazine of the world, ahhhhhhhhhhhhhhhh. Congrats on the feature! The only thing is, I really don't like the term "fatshionistas" - you're all just fashionistas!! Congrats on all your hard work! I recently completed a subject at uni called fat studies and it taught us all about how our bodies are valued and perceieved based on our weight. I believe the work you are doing is standing up to the negative and narrow minded views of society and if anything I believe that shows you are being more honest than most. congratulatios you have such fun fashion. All you ladys look Fab!